Mutant Year Zero: the Search for Eden is an interesting mix of real-time exploration and turn-based combat. 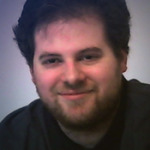 If completely successful, it would be poised to deliver the next big take on turn-based design since XCOM 1 and 2 by Firaxis and Battletech by Harebrained Schemes. However, in trying to find the best of both worlds, the game can’t quite square the circle with its design. The story takes place in the future with humanity wiped out and the remaining survivors living in the last stronghold on the planet called the Ark. You play as two stalkers; Dux and Bormin who are mutants who must try to keep the ark safe from creatures called ghouls. The gamespace itself is hard-coded with fixed enemy positions, treasures, and resources to find. The basic gameplay is that you’ll explore the various areas in real-time. When you come up to enemies, you’re able to sneak around and get your team into position before engaging. If you’re able to kill an enemy silently who is not in a group, the rest of the enemies will not be alerted. This is the first tactical game I’ve played that not only allows you to engage enemies on your own terms, but thin them out safely to make the rest of combat easier. When combat officially begins, the game goes entirely turn-based. Dux and Bormin (along with other characters who join you) can also be leveled up to unlock mutation powers and stat bonuses. Due to your limited party pool, it’s up to you make the most use out of your team’s abilities, and the real time exploration. 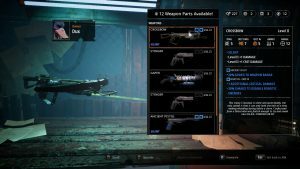 A big part of Mutant Year Zero’s progression beyond leveling up is acquiring new and upgraded gear. 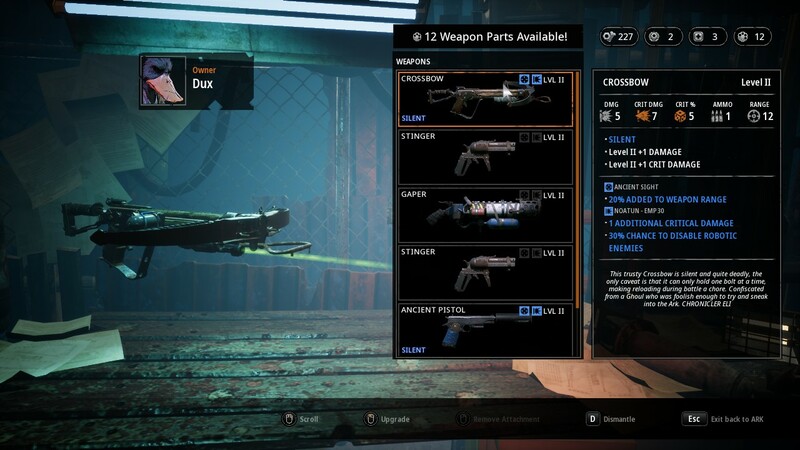 Weapons can be found along with gear that provides special bonuses, and attachment modules to further enhance weapons. At any time, you can return to the Ark to spend scrap and weapon parts you find to help you on your mission. Scrap is used to buy new gear or consumable items like med-kits. Weapon parts can be used to upgrade your guns — improving their attack and critical hit damage. You can also find “artifacts” that can be used to unlock special passive bonuses. The problem is that trying to mix real-time, turn-based, and fixed environments causes Mutant Year Zero to be more frustrating than it should be. The first issue I have with the game is that the two modes aren’t combined as well as they should for this kind of gameplay. Outside of setting up for ambushes, nothing you can do while exploring will impact the tactical gameplay and vice-versa. Enemies patrol in fixed patterns which inherently limit just how much you can thin out a group. There are no environmental items or advanced strategies to help you prepare for combat (which we’ll be getting back to in a minute.) Once you are detected, either because someone spotted you or you didn’t kill a straggler, every enemy in the nearby area becomes alerted. It’s not only an example of ludonarrative dissonance, but if your team is out of position, a sign to reload your save. One moment that really hurt was when I placed a character on a higher elevation thinking that the enemy wouldn’t be able to reach them. Instead, the enemy walked directly through the environment and up to the character and hit them. I feel the problem is that the balance would be very hard to do right to make sure that the player must still have tactical battles, while rewarding them for being patient. However, what we have in the game leads to very lop-sided combat without many options for success. Whenever you have tactical strategy built on a fixed number of set units, there must be a careful eye towards balance and enemy design, because the player is always going to be out-manned. In Mario+Rabbids, Ubisoft gave the player unique skills (along with healing powers) to balance the odds. 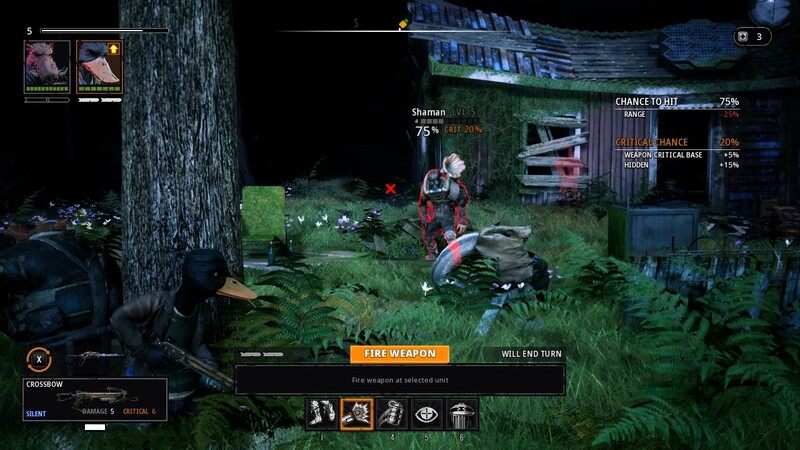 Mutant Year Zero on the other hand doesn’t give the player the options they need to survive. Enemy types in the game are built around specific abilities and tactics. Butchers will close in for melee damage, while hunters snipe at you from cover at the start of the game. Soon, the game introduces enemies with new abilities without giving you much in the way of dealing with them. Shamans can summon additional enemies to the field the second it’s their turn, and unless the player can kill them in a stealth ambush, there is no way to stop it. Then the game has medbots who not only resist damage, but can revive a killed unit and give them a free turn as well. The only way to stop them besides killing is with EMP damage. Then you have pyros, who on turn can toss an unavoidable grenade to your position causing damage-over-time burning. The list goes on, but while the enemies are becoming more powerful and diverse…you get nothing. It’s almost like the reverse X-COM situation — the aliens keep growing in power while your squaddies only use rifles. Speaking of, XCOM 2 introduced a variety of enemies with special abilities, but still gave the player means of dealing with their unique advantages. You do get a few special powers thanks to the mutation system, but you are still limited to only a few powers for a loadout. Enemies quickly level up in terms of health; making them harder to stealth kill. I know what you’re thinking right now: Why not farm areas for resources and upgrades or go on random missions like in XCOM? 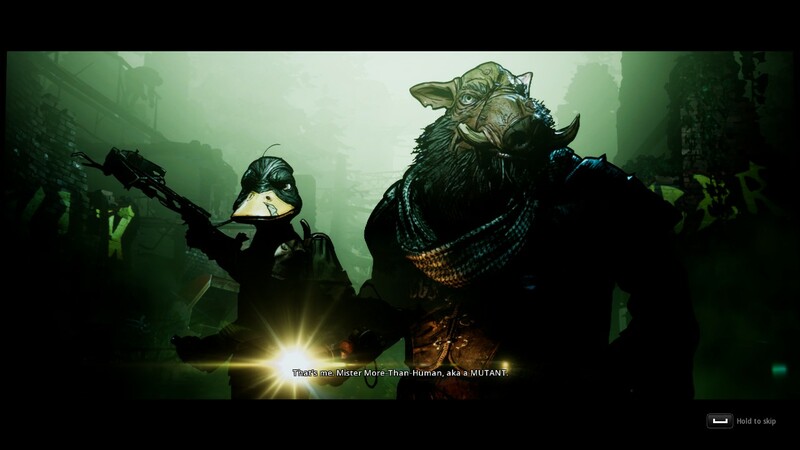 And that right there takes us to the other big problem with Mutant Year Zero’s design. The use of fixed maps and hard-coded resources may not sound like a problem at the start, but quickly leads to resource hoarding and false choice issues. There are only so many piles of scrap, weapon parts, and enemies to kill for experience. All the options that you have to upgrade your team or provide tactical advantages are finite. Get into too many rough battles, and you may not be able to afford any med-kits to keep your team fighting. Or you’ll spend all your scrap, but not be able to buy useful grenades. You also cannot respec teammates, so I hope you don’t choose the wrong mutation or want to try something else. The weapon parts are by far the worst part in terms of the fixed resources. With three-man teams, you are going to have to upgrade at minimum three weapons. This is the only way outside of finding higher qualities weapons that you’ll be able to do more damage. Again, upgrade the wrong weapon or try to experiment, and you won’t have enough parts needed to make sure that everyone is able to do damage. This kind of limited design was done correctly in my opinion in Mario+Rabbids, where skill points were used from a total pool that you could redistribute at any time outside of combat. In turn, the player still had to make hard choices, but was never punished for trying something new. The game introduces enemies who have armor that flat out stops set amounts of damage, but unlike XCOM 2, there doesn’t seem to be a way to “shred” or ignore armor at the time they’re introduced. 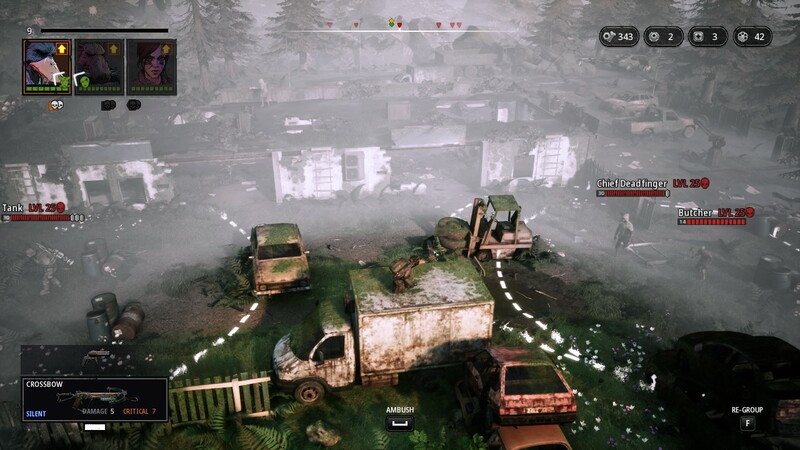 Mutant Year Zero is very disappointing to me. This is the reverse problem I had with Achtung! Cthulhu Tactics and how the game was broken in favor of the player. Here, the game feels too skewed against the player without seeing any light at the end of the tunnel. There is so much potential for combining real-time and tactical design and this universe and characters work well. Unfortunately, what’s currently in the game doesn’t get the combination right. One last thing, I was playing the game on very hard difficulty which the game denotes as the “proper way to experience the game.” On the lower difficulties, the game does turn on auto healing after combat, but still has fixed resources. My latest run of the game is going well, but that required two restarts of knowing what to expect early on in terms of weapons and characters, and upgrading them accordingly. With some quality of life patches and balancing, things could turn around for our mutant friends. For now, I think I like the odds of battling the Advent compared to a bunch of ghouls. 100% on point. I’ve been playing this mess for a few hours and I’ve experienced every single one of the points mentioned. Hell, I’m baffled as to why I have 2 of the same type of rifle in my inventory, but once I go to equip them, there’s only one. I can even customize the second one at the shop, yet it does NOT exist in the equip screen. And I’ll only briefly mention the pure rage I experienced the first time I met that shaman/heal-not combo. Infinite waves of summoned enemies and resurrected dead? Eff that! Took me about 12 tries. And that’s only like the SECOND mission! Anyways: spot on, article. I agree completely. I think you are wrong in almost every aspect of your game review. The game has resource management because in a post apocalyptic world items are sparse. You are not meant to buy or upgrade everything to the max. Trial and Errors’ are what we learn from, (most of us). Enemies get tougher because the designers thought you would get smarter from facing them, witch you obvious did not. If you during your playthrough can’t figure out that You need to upgrade 3 silenced weapons to be able to keep killing solo enemies before attacking the main group, then this game is not for you. After the silent weapons get upgraded with damage modules and after 2 of them have been upgrades with modules that have 50% chance to disrupt robots its almost 2 easy. Hint. Crit’s are your friend, figure out how to setup to maximize chances for critical hits help a lot in dealing the necessary extra damage. 12 tries to figure out mission 2 ouch. Maybe you are not skilled in these games, or do not have not a lot of experience in analyzing and learning from your experience, because 12 tries on mission 2 that is bad. Yes, the weapon, armor and hat switching can feel tedious and if you don’t figure out that weapon, armor and hats equipped are not showed in the common pool its difficult. They could be in a common pool to make switching characters easier. It’s not too easy, it gets broken. The design is not deep enough to warrant different strategies. Get Bormin’s charge and you can then set up stealth kills on two-man groups. Get Farrow’s critical abilities unlocked and the game grants you 100% critical chance on ambush. At that point, every encounter becomes the same and strategy gets thrown out the window. The game should not wax and wane between forcing players to restart until they figure things out, and being flat out broken to the point of breaking it.